Out of all the Buddhist creations so made during this period, the rock-cut monastery in the Ajanta Caves is well known. This monastery consisted of various Chaitya halls along with numerous residential Viharas. Its portico, as well as its interiors, has graceful sculptures on them. Different kind of splendid murals filled up the interiors of this structure. 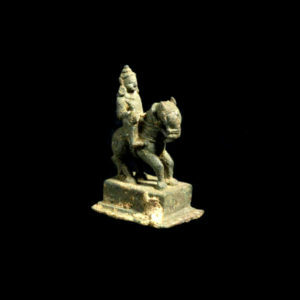 Bronze and hard black stone images have also been excavated at Nalanda and such other places which indicate their deep focus towards ornamentation as well as fabrication. In addition to this, there were two Buddhist stupas which stand as prototypes of stupa architecture from this period. The “Mirpur Khas Stupa” built in the 4th century AD consisted of a variety of arches. The curves of this particular stupa also clear one more point that the Indians were well acquainted with the art of arch-making. 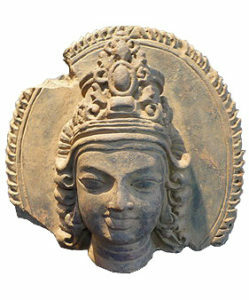 The artifacts of the “Dhameka Stupa” are truly an expression of the Gupta architecture. Apart from this, there were also several Buddhist, Jains as well as Brahmin sects which were another important aspect of the Gupta Empire. Ajanta, Ellora and the Bagh cave paintings indicate a Buddhist philosophy which gained immense popularity during the reign of this empire. Interestingly, out of so many cave paintings which were so created during this period, each is drastically different from one another through all of them maintain the same level of elegance. 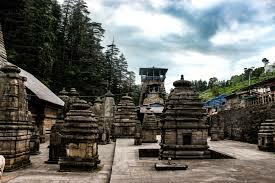 The Gupta Dynasty was truly the torchbearers as far as the history of temple architecture is concerned. It was the first time that the Guptas made use of permanent materials like bricks and stones instead of making use of the usual fragile materials like bamboo, wood etc. Cave temples were replaced by structural temples for the purpose of idol worship. The different kinds of temple structures denote the artistic brilliance of the Gupta Empire. These temple designs became the benchmark for the subsequent creations so made by the latter Dynasties like for instance the temple of Dasavatar at Deogarh is a sheer delight with brilliant carvings and panel constructions. 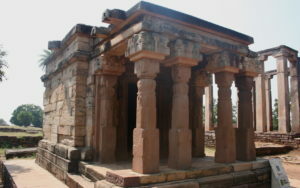 The Siva temple at Nachana, the Parvati temple at Ajaya Garh in Uttar Pradesh, the Vishnu temple in the Central Province, the Ekkalinga Shiva temple at Satana are some of the other examples of temple architectures belonging to this Dynasty. The Sculpture was taken to an altogether different level by the Gupta Empire. Originally, the art of sculpting started in Mathura but subsequently, it was at Sarnath that this art was made nothing less than perfect. It was the same place where Gautam Buddha turned the wheel of law. Hence, Mathura and Sarnath became the prime centers where sculpting was practiced. 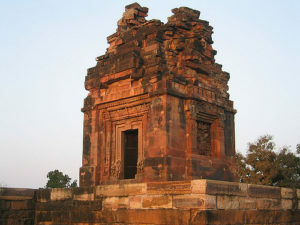 The Shiv-Parvati relics in Kosam, the Ramayana panel in Deogarh and also at Sarnath were some of the main sculptures so erected during the Gupta period. The sculpture of this period truly depicts the artistic perfection of the Gupta period artists. Additionally, the Gandhara School of art and sculpture, as well as the Mathura school of art, also contributed heavily to the art of sculpting. Paintings also occupied a rather important place in the varied forms of art which flourished during the Gupta period reign. However, one important thing which can be deduced from the paintings of this era was that the paintings had acquired a secular character during the reign of the Gupta Dynasty. One of the peculiar features of carrying in this art was that contrary to the other forms of art, this art was practiced by both namely the rich as well as the poor people. Hence it had some sort of a universal appeal to it. Common masses, however, used scrolls of linen to paint. The cave paintings at Ajanta, Badami, as well as Bagh, truly represent a clear picture of the Gupta period’s art of painting. 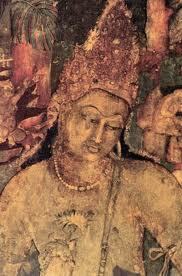 Jataka tales, as well as the life of Gautam Buddha, were the two most common subjects when it came to painting. As a matter of fact, the Bodhisattva Padmapani was considered as one of the best paintings to have been produced during this period. This painting depicts Bodhisattva standing in a “Trivanga” style with his face depicting a youth with a jeweled crown on his head and holding a white lotus in his right hand. His face displays the emotions of sympathy and sorrow for the fellow beings while he is looking below from heaven. Whether it was through the paintings or through sculpture or by way of temple architecture, the varied forms of art have consistently displayed an artist’s perfection as well as finesse thereby creating certain benchmarks for these arts. Apart from this, the different Kings of this empire were also royal patrons of art due to which the artisans received a lot of patronages to pursue as well as perfect the different kinds of arts. It is because of all these reasons that this period is often also referred to as the “Golden Period” in the history of the Gupta Empire.